If you’ve heard the buzz lately about walkable communities and wondered what exactly that means, you’re not alone. Walkable communities are a growing trend in real estate for a number of reasons. A walkable community is a neighborhood (or even a town or city) where residents can easily and safely walk to parks, stores, pharmacies, restaurants and libraries (to name a few). Walkable communities often feature extra wide walkways and sidewalks, ample lighting for nighttime walking, plenty of benches for rest and other features to ensure pedestrian safety. As a growing trend, you can expect to see more and more emphasis in the coming years on walkable communities. The Grand Strand is an area with a lot of new home construction and new community development in-progress and in planning stages. 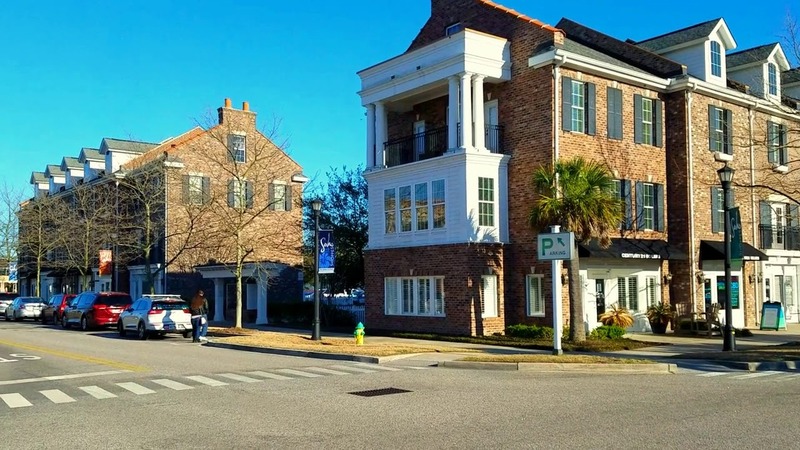 Currently, the best local example of a walkable community is The Market Common. With housing available directly in the shopping district and in neighborhoods surrounding it, the Market Common offers much of what you would find in a walkable community. The Market Common area features parks, restaurants, shops, fitness options, all different kinds of businesses, doctor and dentist offices and even a movie theater. Take a stroll through the area and you’ll quickly see why walkable communities are a growing trend. Gordon Biersch Restaurant & Brewery– 3060 Howard Ave, Myrtle Beach, SC 29577- Outdoor seating available- Great food and beer! King Street Grille– 3060 Howard Ave, Myrtle Beach, SC 29577- Outdoor Seating Available, Great food and sports. Barnes & Noble Bookstore– 3346 Reed St, Myrtle Beach, SC 29577- Featuring Starbucks Cafe and outdoor seating. Stone Theaters Grand 14– 3346 Reed St, Myrtle Beach, SC 29577- Movie theater featuring reclining chairs. Grand Park Recreational Complex– Featuring soccer fields, batting cages, sports complex, recreational facilities. Valor Memorial Garden– Beautiful park and sitting area, home to many festivals and activities throughout the year. Not finding what you’re looking for in these quick links? Try our Advanced Search. Contents copyright © 2019 Broadhurst & Associates, Inc. All Rights Reserved. CENTURY 21® and the CENTURY 21 Logo are registered service marks owned by Century 21 Real Estate LLC. Broadhurst & Associates, Inc. fully supports the principles of the Fair Housing Act and the Equal Opportunity Act. Each office is independently owned and operated. Any services or products provided by independently owned and operated franchisees are not provided by, affiliated with or related to Century 21 Real Estate LLC nor any of its affiliated companies.